A powerful storm that pummeled a busy Colorado zoo with large hail on Monday injured 14 people and killed at least two animals, authorities said. COLORADO SPRINGS, Colo. -- A powerful storm that pummeled a busy Colorado zoo with large hail on Monday injured 14 people and killed at least two animals, authorities said. Five people were taken to the hospital with traumatic injuries after the short but intense afternoon storm passed over Cheyenne Mountain Zoo, according to the Colorado Springs Fire Department. Another nine were treated at the scene, but additional details about the victims and their injuries have not been released. Jenny Koch, the zoo's marketing director, says a vulture and a duck were killed by the hail. A second vulture was also injured by hail and was being cared for in a veterinary hospital. "It was hail the size I've never seen before," she told The Post. "Basically chunks of ice ... It's frightening." 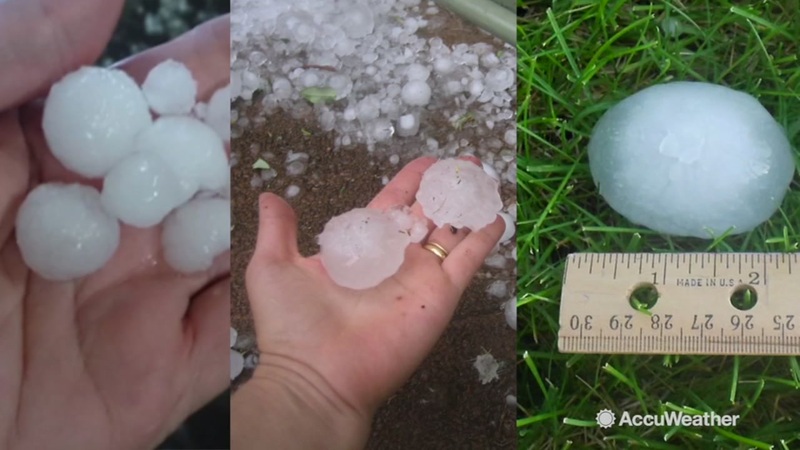 Why does hail fall during the summer? Here's why hail still manages to fall even during the high temperatures of summer. Softball-sized hail was reported in the area, but it was smaller at the zoo. About 3,400 people were at the zoo at the time, and dozens of vehicles in the parking lot were damaged. The zoo will be closed Tuesday so employees can take care of injured animals and repair broken windows and skylights. None of the children attending zoo camp were injured. The storm knocked out power to nearly 2,000 customers in the area, and heavy rain and debris forced the closure of U.S. Highway 24 west of Manitou Springs, The Colorado Springs Gazette reported. The Broadmoor Hotel and resort also was pounded by hail, and staff members are assessing the damage. "It was a significant storm," said Barry Brown, the hotel's vice president of sales and marketing. Forecasters warned that runoff from the rain could cause flooding of small creeks, roads, underpasses and low-lying areas as more storms develop along the Front Range on Monday night.